Save time and avoid all hassles – the Autopilot makes the best security decisions for you! This means no pop-ups, no alerts, nothing to configure. – Leave a comment for this post with a valid email (To receive license key). – Share this post to Social network as: G+1, Facebook, Pinterest, Twiter,… by social network buttons below. Please go back on August for giveaway of Bitdefender, today this giveaway end. Thank you for visiting. Thank you for your visiting and comments. I hope our site usefull for you! Today end of this GIVEAWAY! Thank so much for your interest, I will send 8 key (not 5 key) for 8 comments. This internet security is the best ! 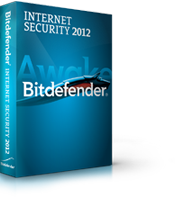 Bitdefender Internet Security 2012 is an excellent suite for novice and advanced users alike.